Craig Blake, age 61, of Peotone, passed away on Monday, April 15, 2019 at Rush University Medical Center in Chicago. He was born on August 5, 1957 in Gadsden, AL, the son of the late Thomas Edison and Alice Faye (Sides) Blake. He married Laurie Frey on April 5, 1980. 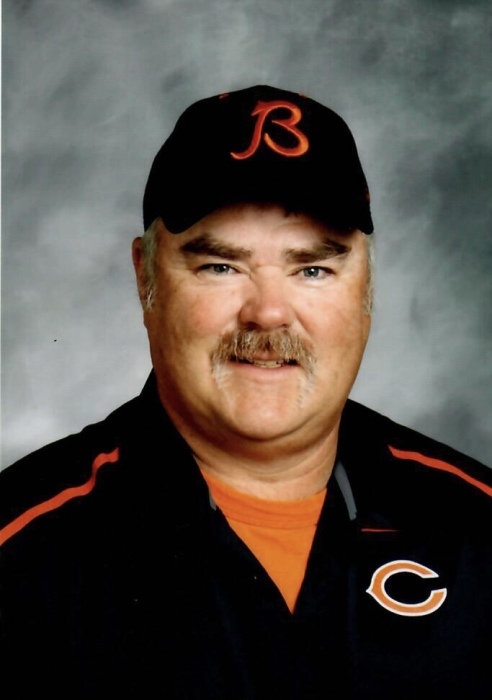 He was a Physical Education teacher at Steuben Elementary School and Kennedy Middle School in Kankakee for 40 years and coached football, softball, wrestling and baseball throughout his career at Kankakee High School, Peotone High School, and Bourbonnais Upper Grade Center. He enjoyed gardening, grilling, going to athletic events, cranking the music while cleaning the garage, and especially cheering for the University Alabama athletics as the #1 Alabama fan, Roll Tide. His greatest joys in life were dating and marrying his high school sweetheart; supporting his students, staff, and athletes throughout their careers; supporting his children in all of their life adventures; and forever being Oochie to his grandkids. He is survived by his wife Laurie (Frey) Blake of Peotone; three children, Kiki (Greg) Pauling of Monee, Ashley (John) Cann of Peotone, and Thomas (Delaina) Blake of New Lenox; grandchildren, Spencer and Quinn Cann, Wyatt Pauling, and baby Blake on the way; Jim and Kathy Taylor (Nanny and Jimmy Boy); and two brothers, Bruce (Diane) Blake and David Blake. A celebration of Craig’s life will be held on Thursday, April 18, 2019 at Steam Hollow Brewing Co., 450 S. Spruce Unit C, Manteno, IL from 3:30 p.m.-9:00 p.m. Please wear your favorite team attire, all ages are welcome. Burial will take place at Corinth Cemetery in Wedowee, AL. A scholarship in Craig’s name will be established.